Rosaleen Allen learned TM in 1983 and was so impressed by the benefits that she went on to learn advanced TM techniques over a number of years, later qualifying as a Transcendental Meditation teacher in 1993. She set up and ran a TM Centre in Plymouth, England where she taught TM courses regularly for a several years. She left Maharishi’s organisation in 1999 when the fees to learn Transcendental Meditation were subject to huge increases. Many people who were interested in learning now found it unaffordable and were denied the opportunity to access this life changing technique. Rosaleen has since been teaching Transcendental Meditation courses independently in the Republic of Ireland since she moved there in 2000. Her course fees are more fair and affordable than the standard fee, making TM available for many people who would otherwise have been unable to afford it. Rosaleen has also been involved with The Meditation Trust, a UK charity for several years, teaching courses at affordable rates in South Wales, Devon and Cornwall. Alongside her TM teaching, she has worked as a Therapeutic Counsellor/Psychotherapist since 1997 and is a fully accredited Member of the British Association of Counselling and Psychotherapy (MBACP). 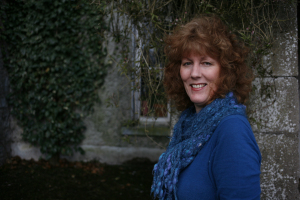 Based in Castlebellingham, County Louth, just south of the border in the Republic of Ireland, Rosaleen is also a Registered Homeopath with the Irish Society of Homeopaths and graduated from the Irish School of Homeopathy (ISH), Dublin in June 2007. Rosaleen is delighted to have now joined forces with The Meditation Trust and to offer Transcendental Meditation Courses in Northern and starting in early 2017 in Southern Ireland.